Harvard University Press, 9780674051065, 800pp. 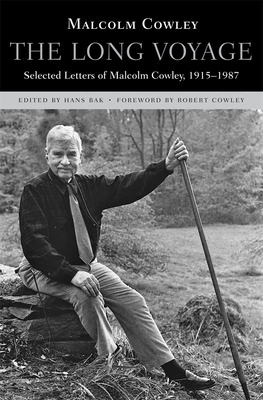 Critic, poet, editor, chronicler of the "lost generation," and elder statesman of the Republic of Letters, Malcolm Cowley (1898-1989) was an eloquent witness to much of twentieth-century American literary and political life. These letters, the vast majority previously unpublished, provide an indelible self-portrait of Cowley and his time, and make possible a full appreciation of his long and varied career. Perhaps no other writer aided the careers of so many poets and novelists. Faulkner, Fitzgerald, Hemingway, Kerouac, Tillie Olsen, and John Cheever are among the many authors Cowley knew and whose work he supported. A poet himself, Cowley enjoyed the company of writers and knew how to encourage, entertain, and when necessary scold them. At the center of his epistolary life were his friendships with Kenneth Burke, Allen Tate, Conrad Aiken, and Edmund Wilson. By turns serious and thoughtful, humorous and gossipy, Cowley's letters to these and other correspondents display his keen literary judgment and ability to navigate the world of publishing. The letters also illuminate Cowley's reluctance to speak out against Stalin and the Moscow Trials when he was on staff at The New Republic--and the consequences of his agonized evasions. His radical past would continue to haunt him into the Cold War era, as he became caught up in the notorious "Lowell Affair" and was summoned to testify in the Alger Hiss trials. Hans Bak supplies helpful notes and a preface that assesses Cowley's career, and Robert Cowley contributes a moving foreword about his father.